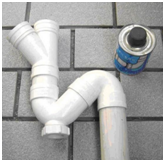 DIY installation Drainage pipe line - Taizhou Zhuoxin Plastics Co., Ltd.
A lot of people want to install PVC Drainage pipe line with their own hands, because they will find a sense of accomplishment, if you want to DIY install the Drainage pipe, this article will help you. 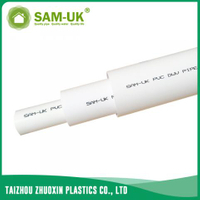 We can stick PVC pipe fittings ourselves when we installed Drainage pipe line, pipe fittings cost is not high. Although it is a little more trouble, just a feeling that installing ourselves is more pleasing to eyes than others’ install it. 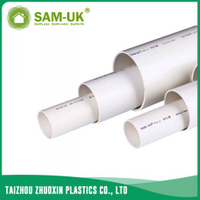 The Drainage pipe line is very solid, which is stuck by PVC pipe fittings. Old residential drainage transformation: the up drainage way of an old house should be replaced to a certain year in general. Or the PVC pipe is easy to leak because of the corrosion, especially for those old houses that buried some cast iron pipes under the ground. The impact of Silicate to the metal pipe Corrosion is very large. It will be deteriorative if it is buried under the ground for a long time, then it will be very easy to leak. Encountering such a situation, I usually plug a reducing bush( the diameter of the old cast iron pipe is large), and then insert a 50mm tube deeply until it has been through the floor, then the problem of leakage is completely solved. Connect the sink drain: all with the thick tube of 50mm, under the sink I use the expansion coupling to connect 50mm tube, all with hard tubes connected. Drainage connection of washing machine : Washing machine access to kitchen drainage generally have two ways. One is put the washing machine inside the kitchen, another one is put it at balcony. I was accustomed to use a 45 degree elbow to connect a tube when I work for the washing machine drainage. So there is a buffer angle, the water of washing machine will not overflow. We can connect a Drain pipe reducer at the y-branch of the tee. 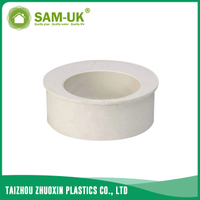 The reducing diameter should be same as the diameter of the pipe of washing machine. (6)See the sticky fittings, it’s the temporary picture. It’s better not to expose the PVC drainage pipe at the middle when connect tee and trap. It can minimize the height of the tee, the lower the Drainage pipe connected, the more smooth for drainage.